For the place in Marin County formerly with this name, see Ignacio, California. For the former town with this name, see Fairford, California. 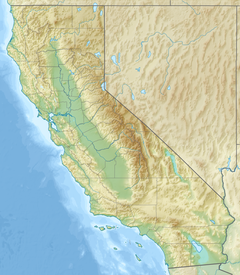 Pacheco is a census-designated place (CDP) in Contra Costa County, California, United States, in the San Francisco Bay Area. The population was 3,685 at the 2010 census. It is located 5.5 miles (9 kilometres) north of Walnut Creek, 19 miles (31 km) miles northeast of Oakland, California, and 27 miles (43 km) miles northeast of San Francisco. According to the United States Census Bureau, the CDP has a total area of 0.7 square miles (1.8 square kilometres), all of it land. The town was laid out in 1857 by Dr. J. H. Carothers and named for Salvio Pacheco, grantee of the Rancho Monte del Diablo Mexican land grant. A post office operated at Pacheco from 1859 to 1913 and from 1955 to the present. Pacheco was briefly a prosperous commercial center. During this period, Pacheco Slough was deep enough to receive ocean-based shipping. From 1851 to nearly 1873, Pacheco was the county’s commercial center: the shipping port for the grain grown in the Ygnacio, San Ramon and Tassajara valleys, with warehouses, a flour mill and shops along the creek. Walnut Creek, (then known as Pacheco Creek), then flowed deep and free into Suisun Bay. For over 20 years, Pacheco was a major shipping port for central Contra Costa County. The destruction of Pacheco’s Walnut Creek shipping channel occurred gradually over many years and for many reasons. Man-made ecologic damage eventually combined with a series of fires and floods, as well as an earthquake, destroyed the town and filled the Slough with silt during the 1860s, to ruin Pacheco's growing prosperity just as similar ones had done to the great classic ports of Ephesus and Troy. Pacheco was subsequently depopulated by the attraction of the nearby town of Todos Santos, later to be known as Concord. In January 2011 the Martinez-Sammon City Council voted to annex those portions of Pacheco north of California State Route 4. In September 2011, Martinez reached a tax sharing deal to pave the way forward for the annexation. In March 2012, sufficient protests were registered to force an election on the issue. In August 2012, the Martinez Police were mobilized to convince the voters to agree to the proposal. Opponents of the annexation called it a "bad deal for all" on a website created to oppose the proposal. The site claimed that annexing Pacheco would be too costly for Martinez – a city already suffering a deficit, and that property taxes would go up for residents and businesses. The Contra Costa Times reported that annexation of an area along Interstate 680 from Highway 4 north to the Burlington-Northern Santa Fe railroad crossing was approved by the Contra Costa County Local Area Formation Commission earlier that year. LAFCO's Executive Officer Lou Ann Texeira said that commissioners would have to take action to terminate the annexation at the September 12 meeting. City leaders say that the North Pacheco gateway area offers the potential for profit-making development. The Martinez city council scheduled another vote on the issue, possibly with a larger area. The population was spread out with 706 people (19.2%) under the age of 18, 264 people (7.2%) aged 18 to 24, 898 people (24.4%) aged 25 to 44, 1,231 people (33.4%) aged 45 to 64, and 586 people (15.9%) who were 65 years of age or older. The median age was 44.4 years. For every 100 females, there were 92.5 males. For every 100 females age 18 and over, there were 87.9 males. There were 1,642 housing units at an average density of 2,218.3 per square mile (856.5/km²), of which 1,558 were occupied, of which 1,267 (81.3%) were owner-occupied, and 291 (18.7%) were occupied by renters. The homeowner vacancy rate was 1.5%; the rental vacancy rate was 12.6%. 2,919 people (79.2% of the population) lived in owner-occupied housing units and 743 people (20.2%) lived in rental housing units. In the CDP, the population was spread out with 20.5% under the age of 18, 6.5% from 18 to 24, 30.2% from 25 to 44, 26.7% from 45 to 64, and 16.1% who were 65 years of age or older. The median age was 40 years. For every 100 females, there were 92.1 males. For every 100 females age 18 and over, there were 85.0 males. The median income for a household in the CDP was US$45,851, and the median income for a family was $58,938. Males had a median income of $48,466 versus $33,359 for females. The per capita income for the CDP was $26,064. About 7.9% of families and 10.2% of the population were below the poverty line, including 11.0% of those under age 18 and 7.7% of those age 65 or over. The town of Pacheco is served by the daily newspaper, Contra Costa Times published by Bay Area News Group-East Bay (part of the Media News Group, Denver, Colorado). The paper was originally run and owned by the Lesher family. Claycord.com is the independent news and talk blog serving the greater Pacheco area. ^ "Senators". State of California. Archived from the original on April 24, 2013. Retrieved March 30, 2013. ^ "Members Assembly". State of California. Archived from the original on April 24, 2013. Retrieved March 30, 2013. ^ a b "Pacheco". Geographic Names Information System. United States Geological Survey. ^ a b c Durham, David L. (1998). California's Geographic Names: A Gazetteer of Historic and Modern Names of the State. Clovis, Calif.: Word Dancer Press. p. 676. ISBN 1-884995-14-4. ^ "Pacheco, California Köppen Climate Classification (Weatherbase)". Weatherbase. Archived from the original on March 4, 2016. Retrieved December 12, 2017. ^ Tatam, Robert Daras (1996). Old Times in Contra Costa. Pittsburg, Calif.: Highland Publishers. pp. 114–115. ISBN 0-9637954-3-0. ^ White, Lisa P. (October 21, 2011). "Tax sharing deal for North Pacheco clears way for annexation into Martinez". Contra Costa Times. Archived from the original on June 19, 2013. ^ Mart, Greta (March 10, 2012). "Residents Likely To Hit Polls Over N. Pacheco Annexation". Martinez News Gazette. ^ Mart, Greta (August 12, 2012). "Measure T Realities Hit North Pacheco Residents". Martinez News Gazette. Gibson Publications. ^ White, Lisa P. (September 21, 2012). "Planned Pacheco transit hub will bring together buses, bikes and carpools". Contra Costa Times. Archived from the original on March 4, 2016. Retrieved December 12, 2017. ^ White, Lisa P. (November 29, 2013). "Martinez may take another shot at annexing North Pacheco". Contra Costa Times. Archived from the original on September 23, 2015. Retrieved November 29, 2013. ^ "2010 Census Interactive Population Search: CA – Pacheco CDP". U.S. Census Bureau. Archived from the original on December 12, 2017. Retrieved July 12, 2014. This page was last edited on 9 March 2019, at 19:52 (UTC).